It’s hard to believe it’s already time to start planning for summer camp. Here in my area, sign-ups for camps through the City of Raleigh open on February 6th and I would imagine that’s pretty close to standard across the board. 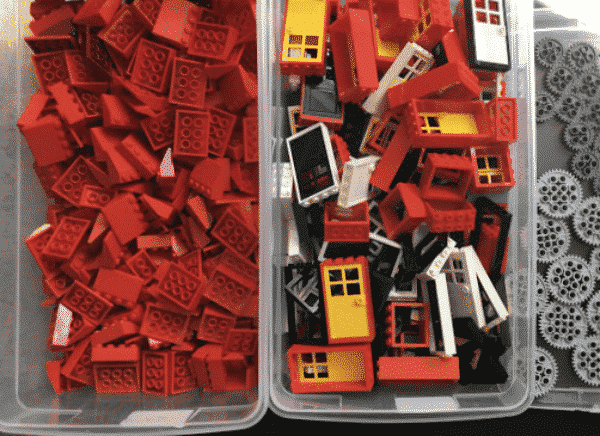 If you have kids in grades k-8 who love to build and experiment with LEGO, Play-Well TEKnologies may be a great fit for you! 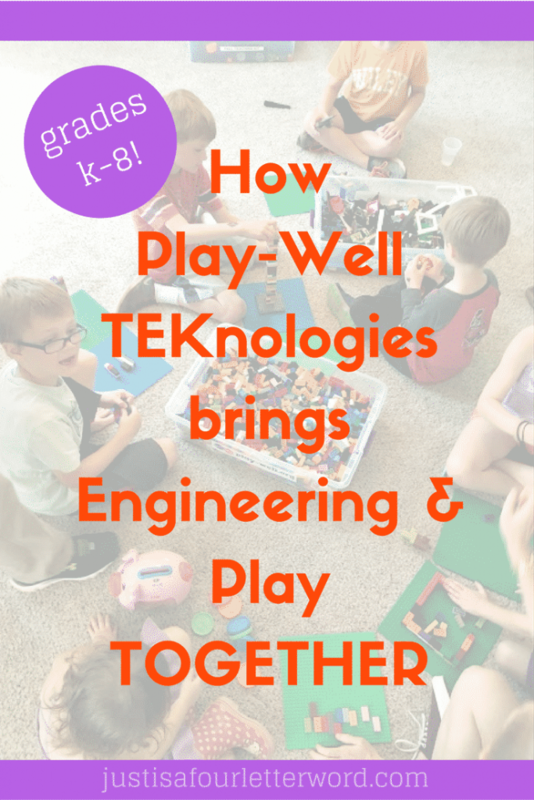 Play-Well TEKnologies is a company which hosts LEGO inspired summer camps and home parties all over the United States to give kids a chance to explore fundamental principles of engineering and physics while playing with one of their favorite toys. These activities are a great way to keep children occupied during the summer break but still encourage learning through play. 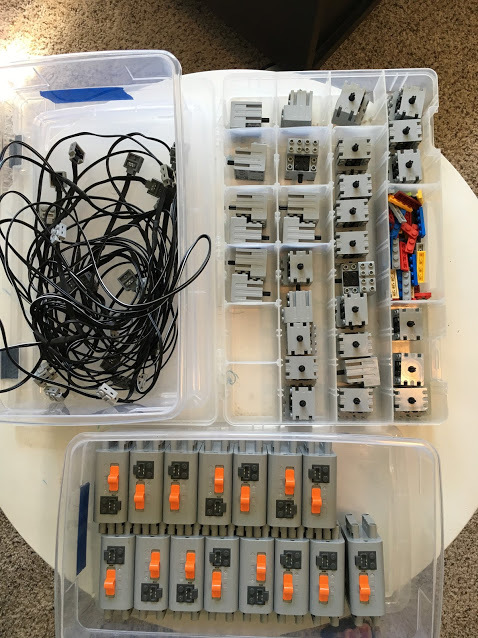 Each class takes traditional LEGO building blocks and adds a robotics component to take learning to the next level. 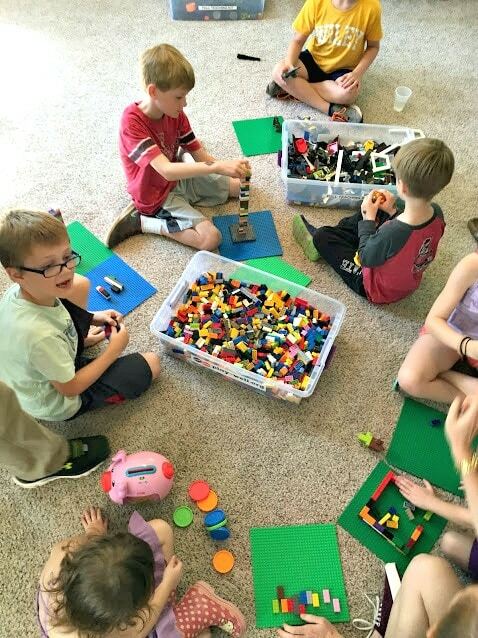 There are several options in my area for Play-Well summer camps, but that isn’t the only option. If you want another way to enjoy the service, you’ll be glad to know they also offer home parties for small groups. 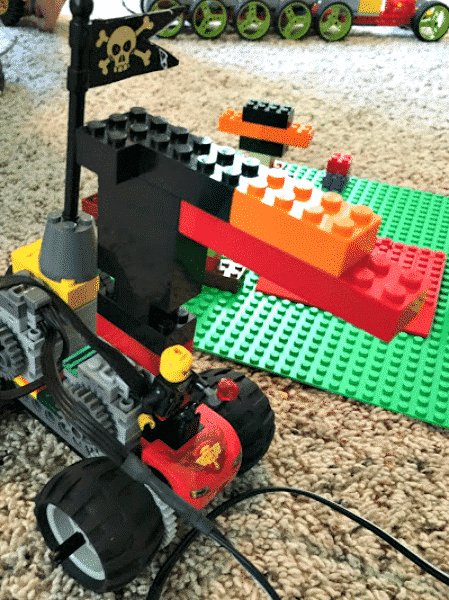 We were asked to host one of these parties and let me just say that as the mom of two LEGO-loving boys, this is something we couldn’t pass up! 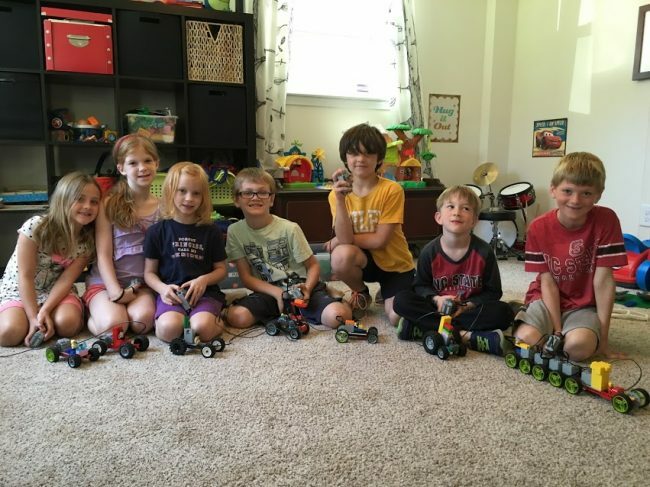 We asked a few local friends to come play and build for a morning and the kids had a blast creating motorized vehicles while us moms had some time to chat over coffee. It was such a fun play date and would make a great birthday party! Oscar even made a welcome sign out of LEGO to kick off our fun morning. Paul from Play-Well showed up the morning of the party with buckets and buckets of LEGO. I had cleared out space in the playroom for him to set up and within 15 minutes we were ready to get started. Once our friends arrived, Paul chatted a bit about creating and the rules of using the blocks. He told stories and kept the kids entertained and ready to use their imaginations. 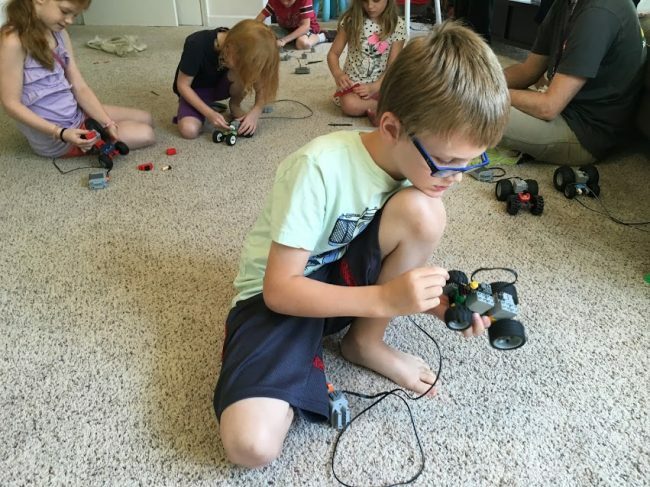 They each jumped right in when it was time to create and had an awesome time not just making LEGO cars, but using electronics to make them move at the flip of a switch! Each creation was an individual masterpiece that reflected the unique imagination of each child. I loved seeing what they came up with and it was really fun to watch them race their vehicles. 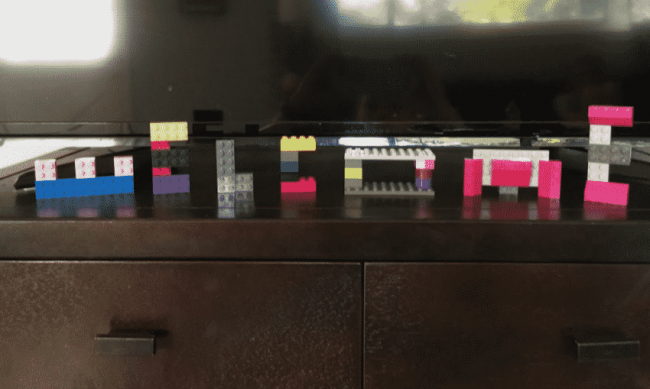 One thing you may want to keep in mind is that the kids won’t be able to keep what they build. I communicated this to everyone in advance to set expectations and I am happy to say we didn’t have any disappointed creators. At the end of the day, moms and kids were happy with their creations and a fun morning spent together! To see if Play-Well offers any camps or classes in your area, check out the course finder! Many thanks to the folks at Play-Well for giving us the opportunity to try out this service. We had a blast! What a great program! My middle daughter has recently started calling herself the Lego Queen. She just loves building and recreating structures. I’ve been meaning to see if there was something out there to further her interest. I’ll definitely look into this.